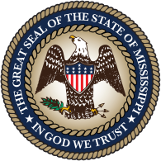 The Bureau of Plant Industry is a regulatory and service division of the Mississippi Department of Agriculture and Commerce. It was established under the Mississippi Plant Act to protect the agricultural and horticultural interests of the state from harmful insects, diseases, and weeds. The Bureau administers state and federal laws, regulations and programs that deal with plant pests, pesticides, honeybees, plants, professional plant and pest control services, animal feeds, seed, fertilizer, lime and amendments (additives) to soils and plants. It also maintains cooperative agreements with the U.S. Environmental Protection Agency (EPA), the U.S. Department of Agriculture (USDA) and other state and federal agencies.